This October is flying by faster than any month has a right to. I’ve been incredibly swamped with a variety of projects, but wanted to pop in and post a quick update. 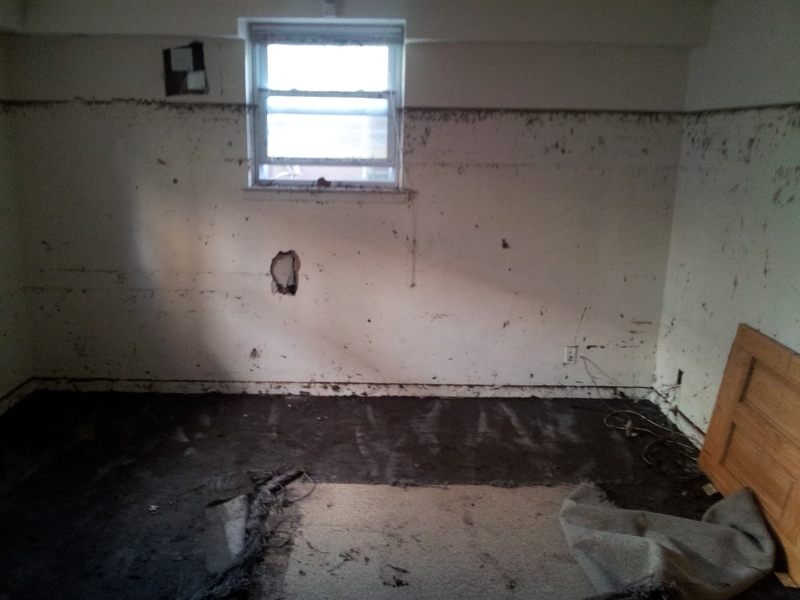 Water surge flooded most basements or even ground floors in Rockaway. The high-water line in this photo is at nearly six feet. I loved playing with the voice and tone of this story, but the best part was that publishers at Buzzy were kind enough to schedule it to go live just before the one year anniversary of Sandy! I hope it will be well-received. #SFWApro“A Man in an Angel Costume” is live at Horror d’oeuvres. This one is behind a pay wall but may be well worth for horror fans, as they provide lots of content including a weekly flash story. I read a handful and enjoyed most of them, even though I am not typically a horror reader. “A Man in an Angel Costume” is one of my oldest stories that haven’t sold previously. But I never gave up on it — I love the prose poetry opening that transitions into a more traditional narrative as the story develops. Some editors really hated this format while for others it came very close, but I never gave up and kept submitting it, until the story found a right home. 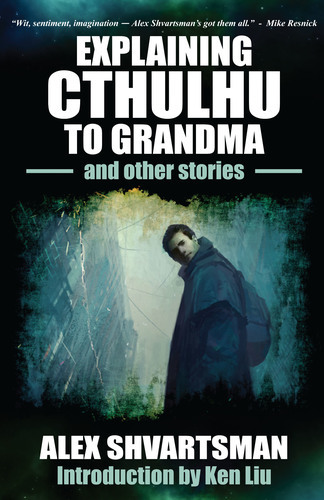 If I had to choose one signature story to represent my writing, I would definitely go with “Explaining Cthulhu to Grandma,” a humor fantasy piece about a magic pawn shop which was published at InterGalactic Medicine Show earlier this year. I’m extraordinarily pleased that IGMS also picked up its sequel, “High-Tech Fairies and the Pandora Perplexity.” It will appear in an upcoming issue, though I don’t have the exact time frame yet. There are also a handful of reprint sales (two instances of markets taking three reprint stories each!) One is a printed magazine and another a mobile platform. I will be able to talk more about both sometime in the near future, but I’m glad to find more ways to share my stories with readers. I had a wonderful time at CapClave and hope to return next year. My next convention will be PhilCon in November and I will post my panel schedule once I have it. The book launched on October 7 and the sales are solid. In fact, we’ve sold more copies of UFO2 so far than we did copies of UFO1 in its first month! So definitely moving in the right direction. I’m woefully behind on this project, but the good news is that the stories have been copy-edited and should go out to book designers for e-book and physical layout later this week. It’ll be really tough to meet the November goal, but I still expect to have them out to all Kickstarter backers before Christmas. This project is chugging along on schedule, and the anthology should release in the first quarter of 2014. I am already laying some groundwork for the third volume of the series, such as inviting headliners, lining up a cover artist, etc. So far I have two stories in already from two Big Name authors. But I won’t tell you more until I’m ready to make an official announcement, because I am mean and I like to tease people. And that’s all the updates I have for now. Back to the pixel mines for me! This entry was posted on Tuesday, October 22nd, 2013 at 8:03 pm and is filed under Acceptances & Publications, Publishing. You can follow any responses to this entry through the RSS 2.0 feed. Both comments and pings are currently closed.